Marni Nixon (b. Altadena, CA, 22 February 1930) is an American soprano much admired for her versatility and flawless technique. She supplied the singing voices of numerous stars – albeit anonymously – on the soundtracks of Hollywood films in the 1950s and 1960s, notably Deborah Kerr in The King and I (1956) and An Affair to Remember (1957), Natalie Wood in West Side Story (1961), and Audrey Hepburn in My Fair Lady (1964). Under her own name, she has spent much of her career performing with major symphony orchestras and in operas and musicals all over the United States. 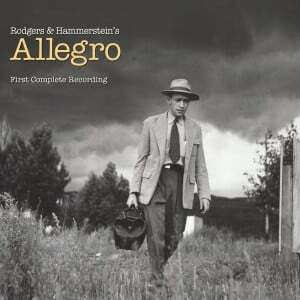 She has upwards of two dozen recorded albums to her credit, many for children, but many definitive renderings of twentieth-century classical repertory as well, by the likes of Arnold Schoenberg, Igor Stravinsky, Anton Webern, Charles Ives, Aaron Copland, Jerome Kern, George Gershwin, Pierre Boulez, Alan Hovhaness, and Mario Castelnuovo-Tedesco. She has four Emmy Awards for her children’s TV show “Boomerang” (out of 27 overall for the show), and has been nominated for two Grammy Awards. Margaret Nixon McEathron was the third of four sisters. Her father, Charles Nixon McEathron, was a gifted Scots singer who worked for General Motors as an industrial manager and later owned and operated his own company, Petley, Inc. Her mother, Margaret (née Wittke) McEathron, of German extraction, demanded – and got – discipline and perfection from her children. Marni, at her own insistence, started playing the violin at age four, and joined the violin section of Karl Moldrem’s Hollywood Baby Orchestra at four and a half. At five she was playing solo recitals for her mother’s arts clubs. When Marni was seven, conductor Moldrem got a call from Republic Pictures, looking for a red-haired little girl who could play the violin. The outcome was Marni’s first film (the title of which she does not remember) and registration with Central Casting. Over the next ten years she appeared in over 50 movies, either in bit parts or as an extra. All the money she earned – and it was a considerable amount in those days – went toward her music lessons. In 1938 the McEathron family moved into a custom-designed house in Los Angeles, complete with raised stage in the living room to accommodate the six-member family orchestra (piano, cornet, clarinet, bells, violin, and cello), along with whatever friends or neighbors cared to sit in with them on Sunday afternoons. At seven years of age Marni was playing the violin in the Peter Meremblum Junior Symphony Orchestra (recent immigrant and piano prodigy André Previn, a year or so older than Marni, appeared as a soloist with them in 1939); frequently she would be asked to sing an aria with her very own orchestra. “[McEathron] was too hard to pronounce,” she says, “and kids at school called me Mac-Earthworm,” so gradually she just used her middle name, Nixon, instead. At eleven she won a vocal competition at the L.A. County Fair, singing “The Blue Danube Waltz,” and decided on the spot to give up violin lessons and devote herself to singing. This was a scant two and a half months before the bombing of Pearl Harbor and the entry of the U.S. into World War II. Nixon was also gathering professional non-musical acting experience at the Pasadena Playhouse, playing the second lead in Junior Miss (in 1944) and in another comedy, For Keeps (in 1946). In 1946 the Los Angeles Bureau of Music sponsored a singing contest for which Roger Wagner – organist, choral director, and Supervisor of L.A.’s Youth Choruses – was a judge. Although Marni did not win first prize, Wagner invited her to be one of the twelve founding members of his new Concert Youth Chorus. Joining the group a year later was the teenaged “Jackie,” destined to achieve fame as opera and recording star Marilyn Horne, and to remain Marni’s lifelong friend. This little madrigal group soon expanded to 32 voices, and, as the Roger Wagner Chorale, turned professional. In 1947 Nixon made her Hollywood Bowl solo debut in Carmina Burana under the baton of Leopold Stokowski, and soloed in the Mozart Requiem with the L.A. Philharmonic under Alfred Wallenstein. In May of the same year, she was given the title role in Oh, Susanna, a new musical comedy at the Pasadena Playhouse. This, she writes, “was the beginning of a lifelong battle I would have with small minds that would pigeonhole me. The classicists who looked down on me when I sang Lerner and Loewe instead of Stravinsky would plague me for years. When I was seventeen, it seemed natural to flit from one persona and style to the other, and I merrily accepted whatever opportunity came along without question.” Marni Nixon’s adaptability, open-mindedness, and penchant for hard work turned out to be more than temporary quirks of youth; they were essential elements later in her amazing talent for matching her voice to the personae of Anna Leonowens, Maria of West Side Story, and Eliza Doolittle, while dubbing, respectively, Deborah Kerr, Natalie Wood, and Audrey Hepburn in the movies. In the fall she entered L.A. City College and its Opera Workshop program, quickly became known for her “perfect pitch” and exceptional sight-reading abilities, and was introduced to the musical intelligentsia of Los Angeles, including Igor Stravinsky, Ernst Krenek, Arnold Schoenberg, and several other notable European emigrés. She frequently sang music of these seldom-heard composers for L.A.’s highly sophisticated Monday Evening Concerts. She performed the west-coast premiere of Stravinsky’s Les Noces, and was one of the angel voices heard by Ingrid Bergman in the film of Joan of Arc (1948). In 1949 Marni met and fell in love with Ernest Gold (b. Vienna, Austria, 1921), then a lowly “hack” composer for Republic Studios, but later creator of scores for Too Much, Too Soon, Inherit the Wind, and many Stanley Kramer movies, and the winner of an Oscar® for Best Music for his score to Exodus (1960). Only six weeks after they were married in the spring of 1950, Marni Nixon, alone and but twenty years of age, crossed the continent to join the Opera Program at the Tanglewood Music Center in Massachusetts. (For some time she had been active in the Opera Workshops of Carl Ebert at USC and Dr. Jan Popper at UCLA.) For the summer of 1950 she was working and lunching with the highest-powered talent in the field: Leonard Bernstein, Serge Koussevitzky, Lukas Foss, and Sarah Caldwell. Back in L.A. the Gold family began to grow, with the birth of Andrew in 1951 and Martha in 1953. Nixon continued to work at whatever jobs came along – dubbing for Jeanne Crain in Cheaper by the Dozen (1950), singing the world premiere of Stravinsky’s The Nightingale (1952), hitting some sustained high notes in “Diamonds Are a Girl’s Best Friend” for Marilyn Monroe in Gentlemen Prefer Blondes (1953), and contributing to the soundtracks of a dozen movies. But both Marni’s and Ernest’s careers seemed to be stagnating, so in hopes of greener pastures they moved to New York City. Marni won first prize on Arthur Godfrey’s Talent Scouts and thereafter appeared frequently on his radio and television shows. She spent some months of early 1954 on Broadway in the singing chorus of The Girl in Pink Tights, starring Zizi Jeanmaire and Brenda Lewis. In New York, as a jingle singer and soloist in some esoteric classical concerts, Nixon was much in demand, but the schedule was exhausting, and she had little time to spend with her children. Most of the composing assignments that were offered to Ernest Gold required him to fly back to Hollywood. The couple decided to return to the West Coast, which they did in the summer of 1955, after a six-week tour for Marni in a double bill of Bernstein’s Trouble in Tahiti and Menotti’s The Telephone. They were hardly settled down when Marni got a frantic call from Twentieth Century Fox: the singer contracted to dub the songs for Deborah Kerr in The King and I had died suddenly, and recording was scheduled to begin in a matter of weeks. The film’s soundtrack album, released by Capitol Records, climbed to Number One on the charts, sold over a million copies over the next five years, and was certified Gold by the Recording Industry Association of America. Marni Nixon, however, received no written credit, either in the film or on the album: the studio did not want the public to know that Deborah Kerr was not doing her own singing. Nor did Nixon receive any royalties for this best-selling album; Capitol Records paid her the grand sum of $420, which was the union minimum, calculated according to the amount of playing time on the vocal tracks. Nixon dubbed Kerr’s voice once more in An Affair to Remember (1957), a film that was not strictly speaking a musical, but in which Kerr’s character was a nightclub singer. Columbia Records released the soundtrack album, which sold over a million copies. Marni Nixon was a regular on television on The Tennessee Ernie Ford Show for the season 1956–57, but left this secure and lucrative niche to make recordings and to return to the opera world. She recorded the complete vocal works of Anton Webern, Igor Stravinsky, and Charles Ives, as well as a children’s album called The Mother Magoo Suite. In 1958 she performed in Haydn’s opera The Man in the Moon, Randall Thompson’s Solomon and Balkis, Stravinsky’s Mavra, Smetana’s The Bartered Bride, Humperdinck’s Hansel and Gretel, Donizetti’s Don Pasquale, to name but a few, and starred as Rosina in Rossini’s The Barber of Seville. In 1959, in San Bernardino, she played Anna Leonowens in The King and I, wearing the very costumes Deborah Kerr had worn in the film. 1960 was Nixon’s “Bernstein year,” during which she sang a series of concerts at Carnegie Hall with the New York Philharmonic under Leonard Bernstein, introducing the avant-garde music of Pierre Boulez. While singing the Canteloube Songs of the Auvergne in the original language (Languedoc, or Occitan) in one of Bernstein’s “Young People’s Concerts,” she earned the conductor’s lasting friendship and admiration by brilliantly translating into English for the live televised broadcast when her teleprompter suddenly failed. The experience of dubbing the voice of Natalie Wood in West Side Story could not have been more different from the process for The King and I. All throughout the shooting of the film, Wood pre-recorded all the songs herself and was convinced that her own singing would remain in the final print of the movie. But the director had no intention of letting that happen. After the filming was completed, Marni Nixon recorded them all over again. Once again, Nixon received no credit, either for the movie or for the soundtrack album, which remained for a record-breaking 54 weeks in Billboard Magazine’s Number One spot. The record was RIAA-certified Multiplatinum in 1986, having sold over three million copies. Nixon was soon back on the musical-theatre boards, playing Nellie Forbush in South Pacific to Howard Keel’s Emile de Becque, and Rosabella in The Most Happy Fella. During the run of the latter show in April 1962, she was pregnant with her third child, Melani, born later that year. Filming My Fair Lady in 1963, she worked hand-in-glove with Audrey Hepburn (as Eliza Doolittle), even to the extent of sharing a limousine to the studio on working days. Although the original plan was to make composites, or blends, of their two voices, the songs in the final cut were sung entirely by Marni Nixon. This time the secret of her dubbing, although jealously guarded, became well-known around Hollywood, and it was widely suspected that Hepburn lost out on an Oscar® because the singing was not her own; in fact that year’s Academy Award went to Julie Andrews for Mary Poppins. (It was widely felt that Eliza should have been Andrews’s property.) Time Magazine, in an interview with Nixon during an engagement with the Seattle Chamber Orchestra performing Schoenberg’s Pierrot Lunaire and Poulenc’s La Voix Humaine, dubbed her “The Ghostess with the Mostest”. Nixon shot her adult screen debut in early 1964, as Sister Sophia in The Sound of Music (“How Do You Solve a Problem Like Maria?”), and only a couple of weeks after her part was in the can, she starred as Eliza in My Fair Lady at New York’s City Center, garnering great acclaim in the press. This publicity, the Time article, and all the gossip surrounding the release of the film of My Fair Lady in late 1964, gave Marni Nixon’s career a big boost. Besides her usual concerts with the L.A. Philharmonic, the London Philharmonic, the San Diego Symphony, and the Orange County Symphony, she began to appear on television: Hollywood Palace, the Bell Telephone Hour, The Danny Kaye Show, Ed Sullivan, and a CBS TV special, Music from Hollywood. Throughout the late ’sixties Nixon continued her “zig-zag” career of concerts, club dates, and commercials, touring and playing Las Vegas with Liberace, enduring a disastrous – but ultimately successful – concert tour of Israel, and partnering with Victor Borge in a very improvisatory series of comedy appearances across the nation. In 1969, after several tentative separations, she and Ernest Gold divorced, and she accepted the invitation to become the director of the vocal department at the brand-new California Institute of the Arts, thus beginning a new career as a teacher. Although teaching was a joy and a new revelation, her administrative duties were more than she had bargained for, and Nixon continued to take singing jobs that took her out of town. On one of these tours, to the state of Washington, she met the charming hepatologist Dr. Fritz Fenster and set her cap for him. They were married in July of 1971, and Marni moved with her ten-year-old daughter Melani to Seattle to live with Fenster. The attempt to sustain her busy classical concert schedule, along with frequent trips back to CalArts to teach, proved too much. Subsequently she took a teaching position at the Cornish School, coaching their opera workshop and appearing in musicals with the Seattle Opera Company and in plays with the Seattle Repertory Company. On top of all that, she continued with her concert career. One direct consequence of a recital in Alice Tully Hall in New York was the premiere recording of Schoenberg’s early Cabaret Songs, released in 1976 by RCA, which brought Nixon a Grammy Award nomination. 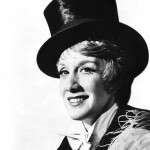 Around 1980, with all her children grown, and having been divorced from Fenster (by mutual consent) five years earlier, Marni Nixon decided to move to New York City again. Here she met – under somewhat “mystically” romantic circumstances – jazz and symphonic wind player Al Block, who became her husband in April 1983. In June 1983 she was starring in her first off-Broadway musical, Taking My Turn, with Margaret Whiting and Cissy Houston, and earning enthusiastic reviews. The show ran for 200 performances, was filmed for PBS, and produced an original cast album. Nixon survived breast cancer in 1985, and returned to the recording studio in the later ’eighties. Reference Recordings released her album of Gershwin songs, an album titled Marni Nixon Sings Classic [Jerome] Kern, and the premiere recording of [Aaron] Copland: Eight Poems of Emily Dickinson, which earned her a nomination for the 1987 Grammy Award for Best Classical Performance, Vocal Soloist. As eclectic as ever in the ’nineties, Nixon appeared as Sadie McKibben in several productions of the musical Opal (Robert Lindsey-Nassif, 1992) and sang on the cast album (1996). She served as dialect coach for the French-speaking cast of the 1994 Grammy Award-winning recording of Carlisle Floyd’s Susannah in Lyons, France. Then in 1997 she appeared in the film I Think I Do, and learned to belt a song as Fräulein Schneider in Cabaret at the Barrington Stage. She was the voice of Grandma Fa in the animated musical Disney feature The Legend of Mulan (1998). With the turn of the millennium, Nixon was able to realize a long-held ambition to exercise her serious acting skills, and returned to Broadway, three times in rapid succession, as a star. In early 2000, she joined Sally Ann Howes, Alice Ripley, Emily Skinner, and Christopher Walken in a musical adaptation of James Joyce’s The Dead, running for 120 performances. In 2001, she appeared as Heidi Schiller (“One More Kiss”) in the Broadway revival of Stephen Sondheim’s Follies, and in 2003 she stepped in for Mary Beth Peil as Guido’s Mother in the revival of Maury Yeston’s Nine. In 2002 she was in L.A. with Charlotte Rae and Jane Kean in Kander and Ebb’s 70, Girls, 70, and her performance as Heidi Schiller was repeated at the Barrington Stage in the summer of 2005. In 2008 she was once again in My Fair Lady – this time as Mrs. Higgins – on the North American Tour of Cameron Mackintosh’s revival, and again with Kelsey Grammer and the New York Philharmonic at Lincoln Center. At the same time, she was frequently on the road with her one-woman show, “Marni Nixon: The Voice of Hollywood.” Her engaging, absorbing, and revelatory autobiography, I Could Have Sung All Night, co-authored by Stephen Cole and with a Foreword by Marilyn Horne, came out in 2006. An exhaustive list of Marni Nixon’s operatic roles and concert appearances cannot be attempted here; some of her more impressive undertakings have been Zerbinetta in R. Strauss’s Ariadne auf Naxos, Susanna in Mozart’s Marriage of Figaro, Blonde in Mozart’s Abduction from the Seraglio, Violetta in Verdi’s La traviata, the title role in Offenbach’s La Périchole, Musetta in Puccini’s La Boheme, Poulenc’s one-woman opera La Voix Humaine, and Philine in Thomas’s Mignon. She has made her share of television appearances, too, guesting on The Mothers-in-Law, Law & Order: Special Victims Unit, I’ve Got a Secret, To Tell the Truth, the Merv Griffin Show, and many more. A respected judge for the Metropolitan Opera Auditions and other organizations like the National Association of Teachers and Singing, Nixon has conducted master classes and served residencies in Colleges and Universities throughout the USA (Yale, Manhattan School, Boston Conservatory, Georgia State University, and many more), and continues to teach privately. Aside from her two Classical Grammy nominations, Nixon has earned two Gold records: Songs for Mary Poppins, and the soundtrack album of Mulan. Her special honors are many: she is a recipient of the New York Singer Symposium’s Distinguished Artist Award (2008), and the coveted VERA Award from the Voice Foundation in Philadelphia for outstanding work in research and education; she has recently been awarded the 2011 George T. Peabody Award for Outstanding Contributions to American Music. She is also an Honorary Member of Sigma Alpha Iota, the International Women’s Music Fraternity. Of her three children, Andrew Gold, who died at 59 of heart failure in June 2011, was an award-winning rock musician, producer, and composer (of the theme song for television’s The Golden Girls, “Thank You for Being a Friend”); her daughter Martha Gold Carr is a psychoanalyst; and Melani Gold Friedman is a singer, songwriter, and massage therapist. Marni Nixon has six grandchildren.